The Shiatsu (finger pressure), or Japanese Massage originates from traditional medicine and aims to eliminate blockages and balance your body's energy force. The Shiatsu massage provides stress release and improved blood circulation. Your Zenin therapist uses touch and pressure to relax the entire person (both body and mind). Although often referred to as a form of massage, shiatsu is actually considered a form of energy work intended to balance the energy pathways within the body. Shiatsu includes awareness of body posture, breathing and exercise. Similar to acupuncture, Shiatsu stimulates the body’s vital energy (known as Qi). The Shiatsu Massage is calm and relaxing by nature, yet dynamic in effect; your body begins to re-adjust itself and healing takes place. As Shiatsu is working with the whole person, rather than simply focusing on conditions, most people, ill or healthy, and of all ages can potentially benefit from it. 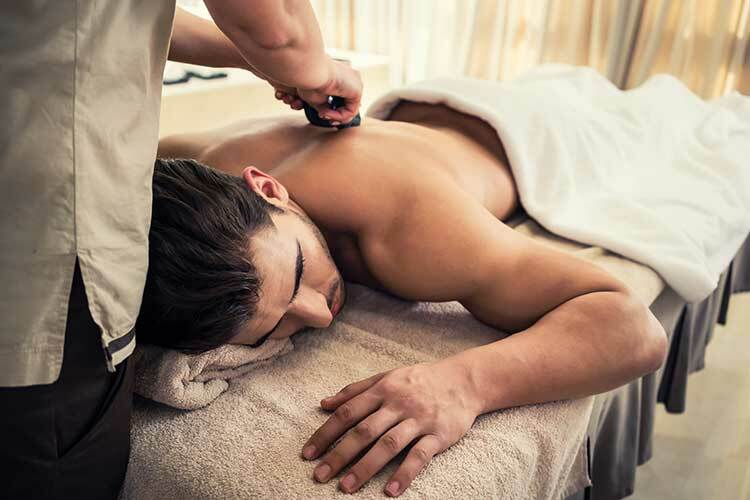 Shiatsu Massage is particularly useful in enhancing health and vitality and many people use it as part of a stress management or preventative health care programme.